Scotbake was established on Seafield Road, Inverness, in 1994. The original aim, to produce and distribute quality bakery products in and around Inverness, was quickly outgrown by demand. Before long, the company was receiving orders from further afield for daily deliveries to independent stores, the convenience sector, multiple customers, food service customers and school supply, leading to a wider distribution area, larger product range and bigger delivery fleet. In time, we added the distribution of Allied Bakeries, Warburton and Hovis bread to our portfolio; these are still delivered to their entire customer base, from the small single basket drop to the largest multi nationals within our delivery area, all on a daily basis. As the company grew, our Seafield Road premises saw the addition of a new purpose built despatch and admin facility, with further investment in plant and machinery. In recent years, further expansion and investment has kept pace with ever changing legislation and order increases. This has resulted in moving from Seafield Road and restoring production to a well-known former bakery site on Burnett Road in Inverness, which is now a fully operational company headquarters. From the 1960s, the Burnett Road bakery was a major employer and a significant part of the UK baking industry. At its peak it provided bread and morning goods for the Highlands & Islands, exported its famous Burnett’s shortbread and provided employment for 450 people. Production ceased in the 90s, when the site became a distribution centre for Premier Foods Products and Hovis bread. 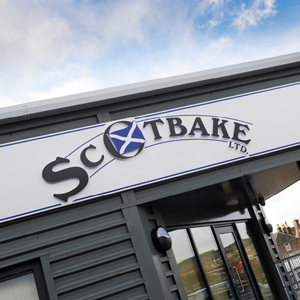 Scotbake entered discussions with Premier Foods in 2009, added their distribution to our portfolio, and purchased the old bakery, distribution site and garages. The existing site was remodelled into a state of the art production, distribution and admin centre, allowing us to look forward to the challenges of the 21st century and beyond. Scotbake was established on Seafield Road, Inverness, in 1994. In time, we added the distribution of Allied Bakeries, Warburton and Hovis bread to our portfolio. 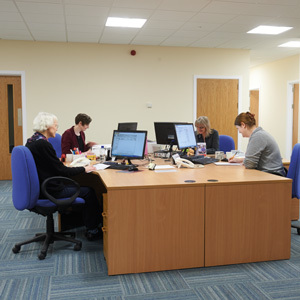 As the company grew, our Seafield Road premises saw the addition of a new purpose built despatch and admin facility. Scotbake entered discussions with Premier Foods in 2009, added their distribution to our portfolio. The existing site was remodelled into a state of the art production, distribution and admin centre, allowing us to look forward to the challenges of the 21st century and beyond. We bake and distribute 7 days a week, delivering the Kingsmill, Warburton and Hovis ranges. 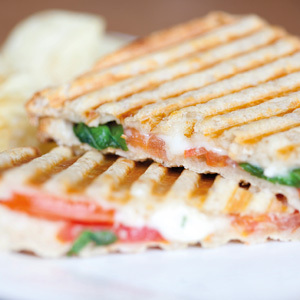 Innovation and flexibility means that we can produce bespoke products, recent example of this is our range of filled and finished panini.